As part of our endeavors to engage patients and caregivers in research, we’re posting links to specific articles and asking for your feedback! Below you’ll find the abstract and link to an article in the Journal of Medical Internet Research (JMIR) entitled “You Get Reminded You’re a Sick Person”: Personal Data Tracking and Patients With Multiple Chronic Conditions. Make sure you are registered with The Research Loop. Then go read the article and make notes. Once you’ve read it, come back and submit your feedback. You can find other feedback requests here. As part of our endeavors to engage patients and caregivers in research, we’re posting links to specific articles and asking for your feedback! This post is in concert with the Health Tech Reads (#HTReads) tweetchat to be held on Tuesday, August 29, 2017 at 9:30pm EST. You do not need to take part in the tweetchat to submit feedback but we hope you will. And for a primer on tweetchats, make sure to check in on our blog from the #IrishMed tweetchat. Below you’ll find the abstract and link to an article in Otolaryngologic Clinics of North America entitled Precision Medicine: Genomic Profiles to Individualize Therapy. As part of our endeavors to engage patients and caregivers in research, we’re posting links to specific articles and asking for your feedback! This is the second in our series of request. Below you’ll find the abstract and link to an article in the Journal of Medical Internet Research (JMIR) entitled The invisible work of personal health information management among people with multiple chronic conditions: qualitative interview study among patients and providers. The invisible work of personal health information management among people with multiple chronic conditions: qualitative interview study among patients and providers. 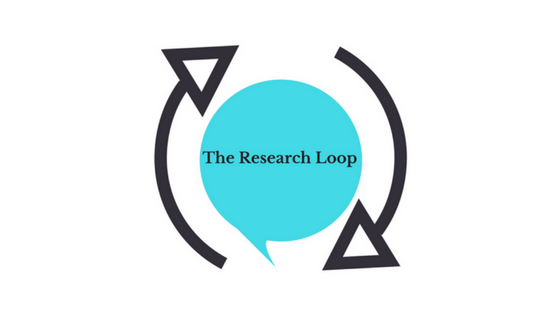 While The Research Loop is primarily designed for patients and caregivers who have read research they found on their own to provide feedback on the articles they read, we want to start trying to share articles that may be ripe for feedback. Any articles we share will be open access or accessible via a free registration. We’re sending out our first feedback request by asking patients and caregivers to submit feedback on an article in JAMA Oncology entitled Patient Demands and Requests for Cancer Tests and Treatments (abstract below).